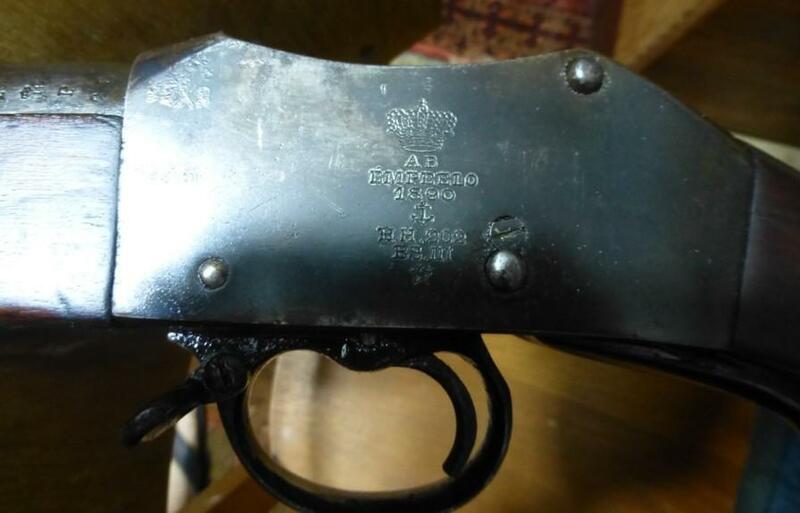 This extremely mysterious rifle would be a rifle EMPEELO used in the Brazilian navy but information is not definitively proven. 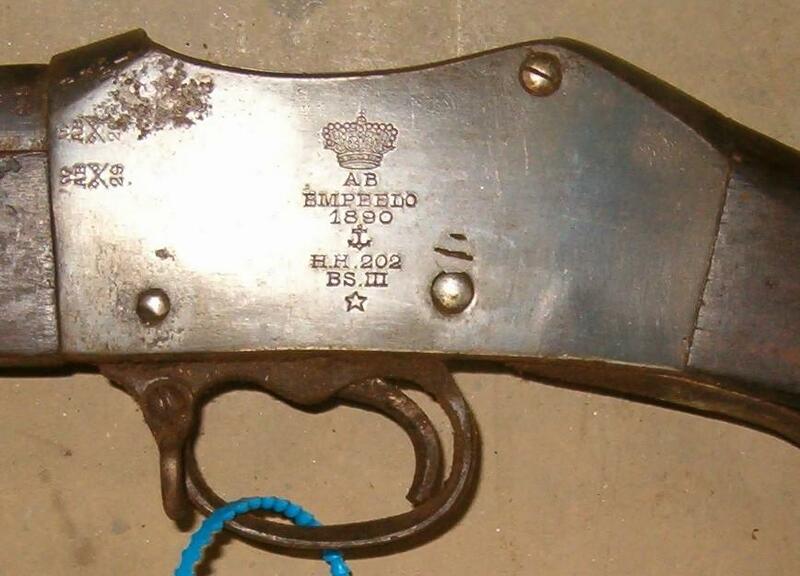 This rifle would be in gauge 303british. Peron: inspection, of use of 1853 to our days. 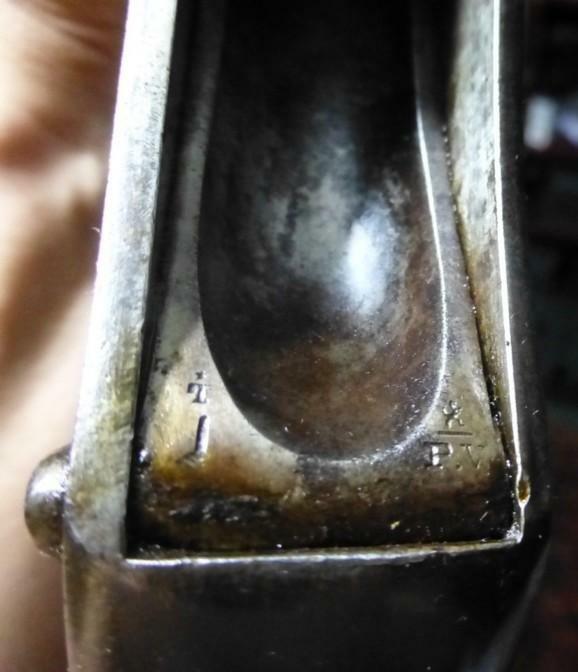 T* (read so well): countermark of the controller, of use of 1877 to 1968. 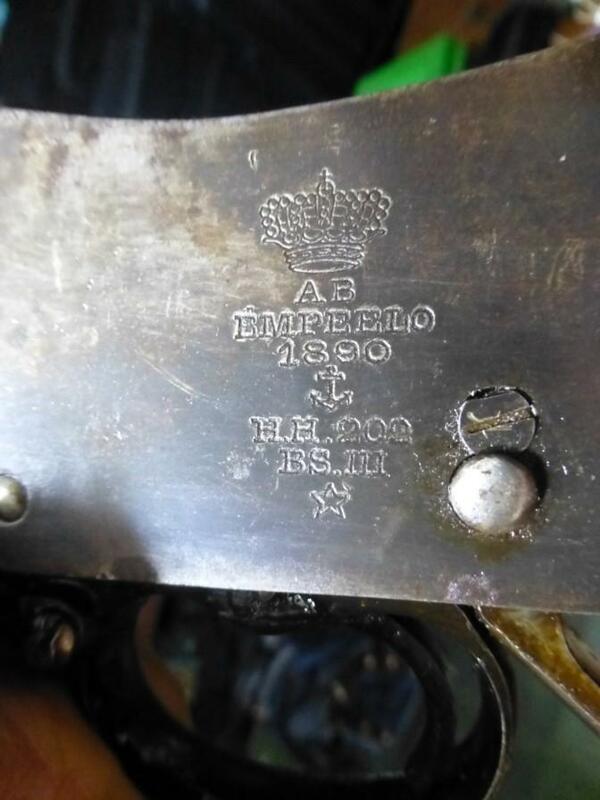 The large mark on cylinder head AB crowned - EMPEELO 1890 - Anchor - H+202 BS III * is not indexed nowhere to our knowledge. We think that it would be of Brazilian origin? The mark N I crowned or perhaps N H crowned can't be read with certainty nor identified. 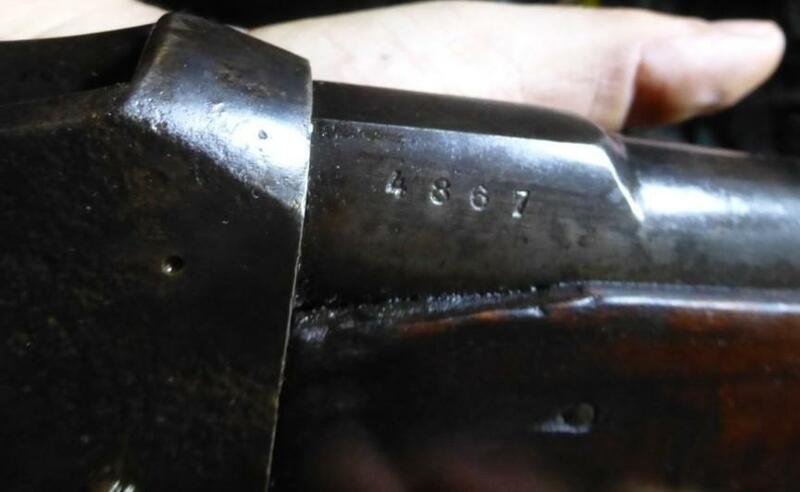 4867: would be a serial number. 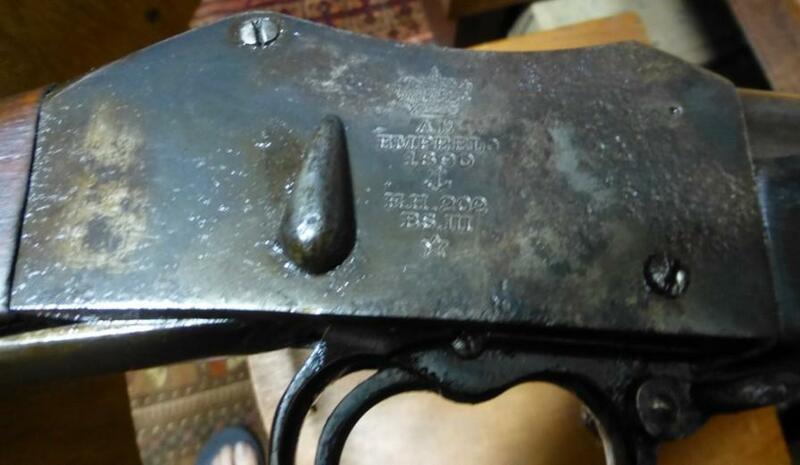 Call is launched to the reader who will be able to say some more on this weapon. 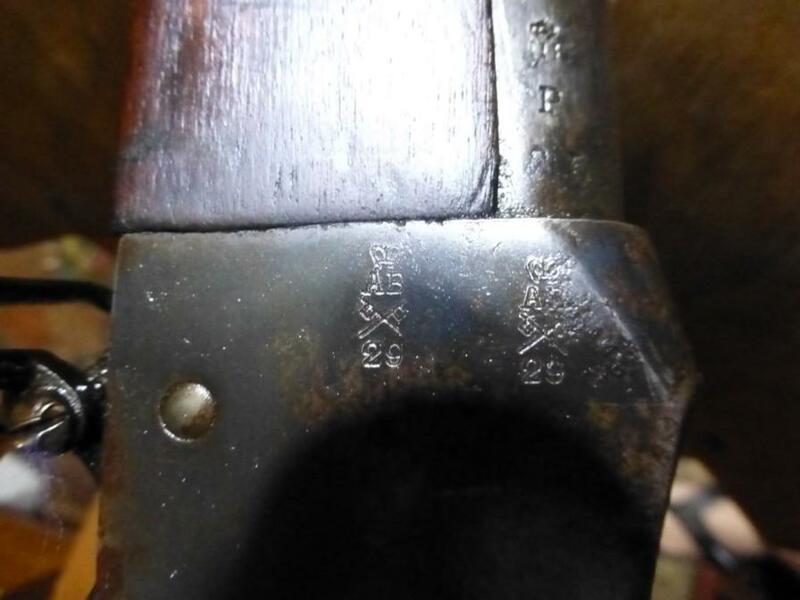 Do you see the mark of Belgian test? 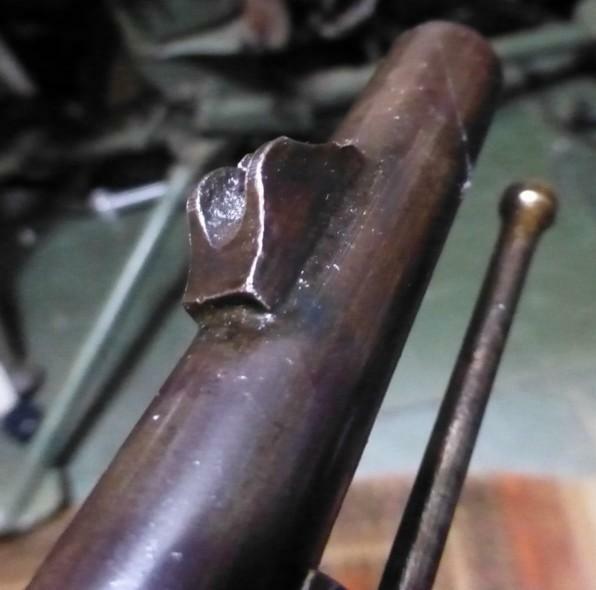 I don’t say the ELG, but the Peron, that appears on all Belgian weapon. 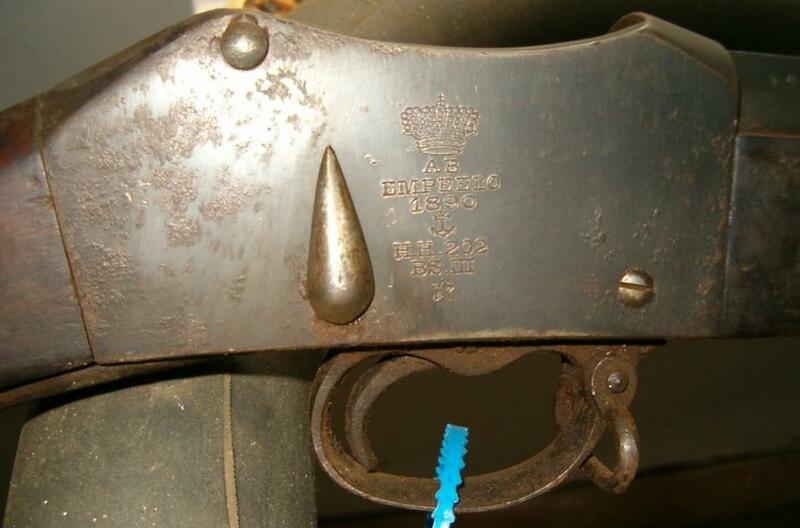 We don’t have the right to dismantle this weapon; this is the property of the Museum Ferreira da Cunha. 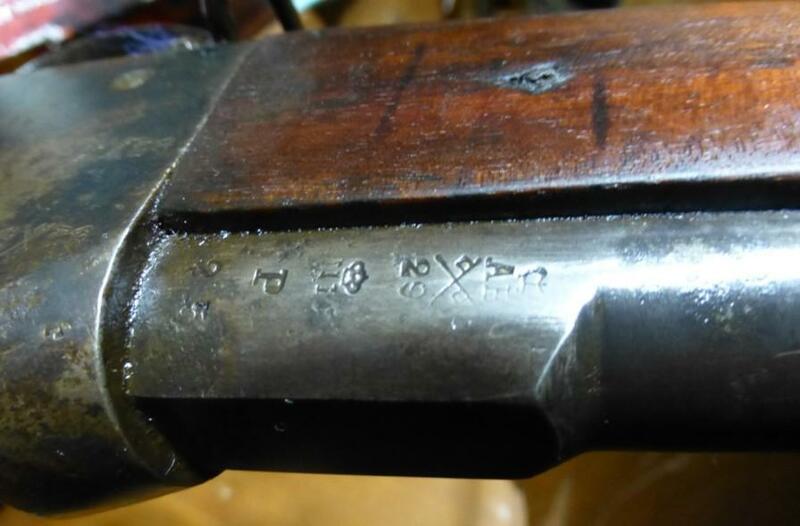 This carbine EMPEELO in bore 303 British is a mystery for us. We have specialists who affirm that they were used in the navy of Brazil. Others, between which includes Adler, say that not. 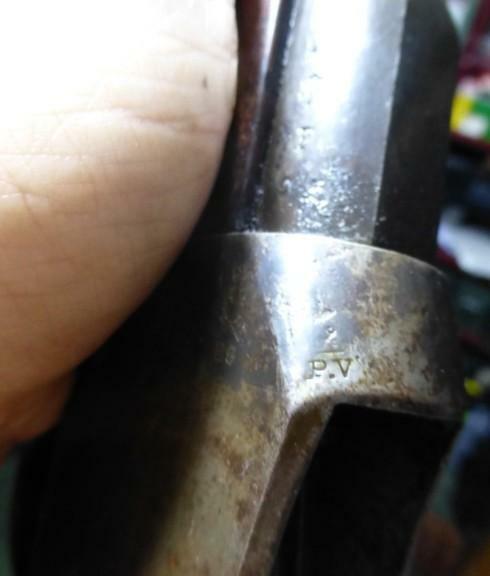 I’m certain that it is not the standart weapon equipment in Brazil, because already in 1890 Brazil used "Komission 88" in the army and "Kropatcheck 8 mm" in the navy, both with repetition, and it is not possible that it adopted a weapon with only one shot, even into .303, different from those used here. 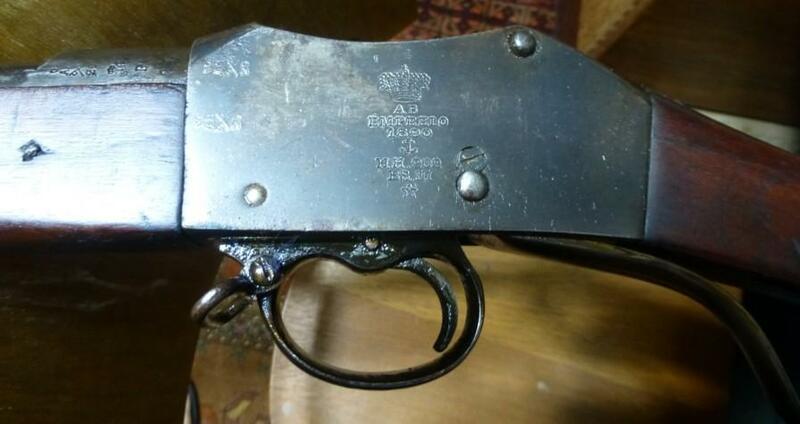 An explanation which seems logical is that these weapons were in the boat that Brazil bought in England in 1905. 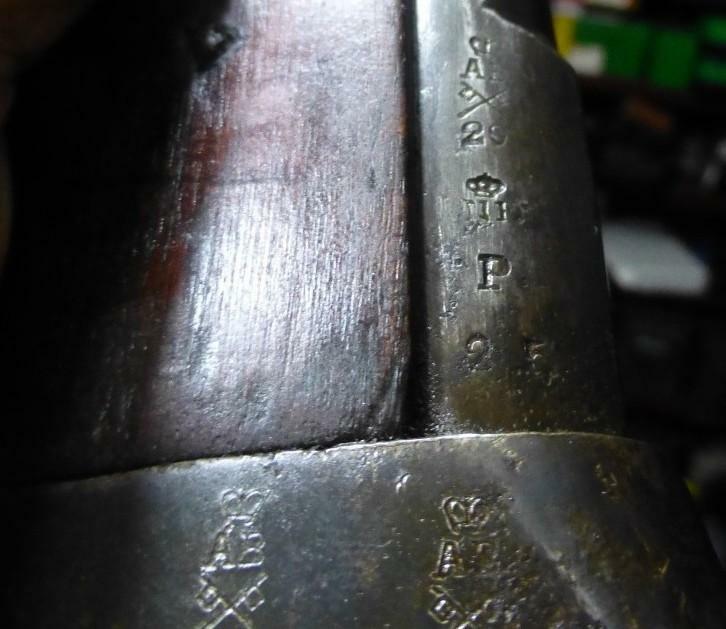 This carbine EMPEELO belongs to the Particular Museum Ferreira da Cunha , of the city of Petropolis, that is in the State of Rio De Janeiro, and that in them it made the gentility to allow to photograph.